Table for 9 please – A Fathers perspective of a huge family, finally…..
A Fathers perspective of a huge family, finally…..
All to often our lives and relationships become a gigantic skipping record. We tend to get so wrapped up in the mundane events that are our routine, our memories lapse and we forget to make things special, or even pay attention to each other. Add the responsibilities of parenting and there are times when the tunnel gets so dark, that our peripheral vision is lost. This is what makes our relationships stall, there has to be an avenue of recharging a love this special. Lets face some other hard facts, relationships are really tough work, if it were too easy and nothing but roses, then the relationship simply would not be real. It is human nature to have a desire to feel special and men here is a newsflash, it is our innate duty to make our significant other feel worshiped. I will admit there is a point in every relationship when you get wedged in a corner and you are unable of making the effort to go above and beyond. This is the point when we seek the “something every relationship needs”: a VACATION. Vacation does not mean a family trip to the Alabama Riviera or Great Wolf Lodge, it means going some place where you can rediscover one another. A location that can be romantic, but with not too many outside distractions. We just had one of these vacations and it was nothing short of phenomenal. After 7 kids and the birth of the twins, we had not gone anywhere alone in about 2 years. It was beyond time to get away together. This trip had been planned 2 years prior, it was an item we had bid on and won at out nephews Mighty Oakes Heart Foundation annual gala. It was unbeknownst to either of us how important and magical this jaunt would actually be for us. The name of the location was Three Forks Ranch and was located about 90 miles north of Steamboat Springs on the Wyoming border. Wow was the only word I could conjure up when we approached the lodge (see opening picture). We were picked up from this tiny airport in Hayden, Colorado and trekked from a 2 lane highway, to a gravel road that snaked through grove after grove of Aspens, to a mountain paradise. It was quite the journey, but we got a little unsure where exactly we were going to end up. To say the least we were not disappointed, it was an oasis in the middle of 400,000 acres owned by the lodge! This is literally an outdoor adult playground, you can do any activity and at any time. We were one of 5 couples staying at the lodge so we had the place to ourselves! We fly fished, shot guns, went on a 3-D archery course, shot sporting clays on an amazing course, ate fantastic food, and made many new friends. All of that was out the backdoor and at our finger tips! Most of these things we had never done before, and best of all we got to experience them together. After a decade of marriage its an amazing feeling to go through the joys of discovering something new together. It reaffirmed how incredible a woman my best friend actually is, but it was quite surprising how good of a shot she was having never touched a gun before. So many more options of things we can do together were opened up! I can not tell you how many times we both looked at each other and said this was the best vacation we had ever been on. Huge thanks to my amazing nephew, MOHF, Allison Pratt and all the amazing people at Three Forks for an unforgettable trip. See you next year! Nap in the hammock by the stream. As this time of the year approaches, we as parents get both excited and a bit frightened for the coming weeks. It is the start of the school year, and with it comes a whole myriad of emotions, both on our part and the kids. The other part of this tale is that working in the pediatric world of dentistry, the weeks leading up to the start of school equates to pure madness at the office. Urgency ensues, and everyone wants to get that appointment done before the truancy officer comes knocking. It seems as if school administrators have become entirely to harsh for missed school due to doctors appointments, but thats for another time. Our very busy days, turn into sheer madness in the last week of July to the third week of August. Some days we can barely catch our collective breath! The slow down has hit, finally, and we can play catch up on the summer that was a complete blur, or so one would think. Then this past week hit….brace yourself. The last Monday of summer break for most of the local schools, which is the equivalent of panic to get that last appointment in before the first day of school. The schedule is packed and that is not even counting the home front, oh and we started back to regular hours, 8-5. No more summer hours, and everyone is a little grumpy! We had a mutual separation from our long time (8 years strong) nanny and this was the first full week of the new nanny! As one could envision, my best friend is beside herself with animosity about how all this will work out. Can she hack life with SEVEN boys, not to mention twin 10 month olds? Combine that with a schedule that has maybe one opening, which of course will be filled by some sort of emergency, and we have the makings of a manic Monday. All things considered the day goes fairly smoothly and the week begins. Over the weekend our 8 year old, Gray, has a recurring pain in the lower left quadrant of his abdomen that raised a little concern…should we make a visit to the doctor? See, earlier this year, Beau the Maniac, has the same sort of thing only a bit more acute, the result was an appendectomy. Anatomically speaking, about the only thing possible to be wrong in a males lower right quadrant is the appendix being enflamed. So one of our team of family members that help at the house takes the little man to the doctors visit. That visit turns into an appointment at the imaging center for an ultrasound of his belly, so momma leaves to head that way. He has all the clinical hallmarks for an appendectomy. The result…inconclusive…what do we do, or better yet what does the doc decide to do…Room 310, here we come, admitted for observation. Bear in mind this is gauntlet week and its the middle of the day, but we are parents and one of us must go…ugh. They spend the night in the hospital with no decision and I managed to get 6 kids in bed, but she had to sleep in the hospital….I will take the 6 kids! Same song and dance, as far as the routine of chaos that we call the end of summer. Crazy schedule, tripping over each other, and the natives at home are restless for school to start. Oh, and I have to get this done by myself, which is no small task. I have never once taken for granted how invaluable and irreplaceable my beautiful wife is and its days like these that make me even more appreciative for all she does. The day flies by and there is not even any time to go and visit my son in the hospital. Still no decision, but leaning towards no surgery!! The only problem is there is another twist to this story. We had our god daughter spend the night on Sunday and by Tuesday we find out she had Hand Foot and Mouth disease…things just got potentially worse. So Gray gets discharged, which takes all but 8 hours, another day lost, but he doesn’t have to get his belly operated on and that makes us ecstatic. The only problem is he misses the “meet the teacher” day, as does momma. I think I mentioned once or twice we have a lot of kids and even when one is under the weather, the other 6 still need parenting. The good news is, thanks to the team that makes this family function, the day is saved! The morning starts with Quinn running a fever, and the twins have more of the same, with a couple of lesions popping up on the lips. The trouble with contagious diseases and having a big family is there is no such thing as containment, especially when the two youngest happen to be twins! The mess ensues and it is going to get ugly, in more ways then one. The thing about this disease is it is extremely painful and dehydration is very common. My poor dreamboats do not know what is going on, other then they have a fever and are hurting. So sad…. Ahh, its finally Friday, except that the third day of this virus is the peak and it did hit a high. We are all working on very little sleep, agitated, yet epithetic to the struggle these little men are going through. It is just not fun to have half the house struggle while the other half sit around with nothing to do but wait for the storm to pass. The up side is school has started well and everyone is happy. This is 15 year olds first year at a new school and is living full time at the house, finally all the boys reunite! 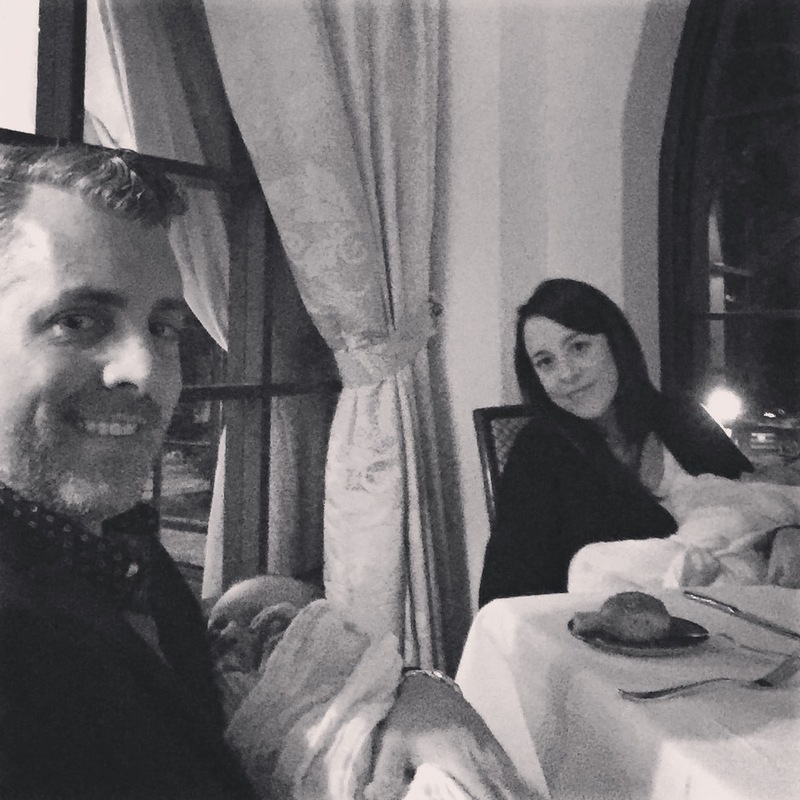 It will take some adjusting on all of our parts, but the is life in a family, right…. The weekend is more of the same, blisters on hands, feet, faces…we are a family of lepers at this point! It is ugly and I am not so sure I have willed a week to be over as much as this one. Would have been possible to squeeze and more suffering and stress into seven days…probably, but it would have been tough. The upside is we bonded together, both at the office as a family and at home. It is hard to keep a strong unit down with the love and determination that binds this one together. Bottom line is this, struggles build character, adversity makes us realize how much we can conquer, and perseverance leads us to the new tomorrow. The sun will rise and tomorrow will bring new surprises. I heard someone say once that “this too shall pass”…words we could all live by, and low and behold it is passing. Ah, that beautifully warm and sunny day in June that we pay homage to the patriarch of the family household. There are no brunches, or jewelry sales, or flowers to buy, no dressing up to make that reservation you made a year in advance to dine overlooking the gardens. It is, however, the final day of the U.S. Open golf tournament, a day of grilling, outdoor activities, and saying thanks to the one person that taught us the hard lessons in life, dear old dad. So we might ask ourselves, why is a father so important anyway? They do not provide infants with nourishment, they do not sustain life, and, for most of us, they don’t really provide us with those mushy moments of support when the tears are flowing. We are, however, the absolute pillars of support for the American family structure. There are some staggering statistics of sadness for fatherless youth. I found a mind boggling blog titled, The Fatherless Generation. The numbers contained in the”Statistics” section, paint a very grim future for todays youth that grow up without a father. One could argue that a lot of our decaying society could be restored if the family structure of the days past was recreated. What I mean by that is simply a two parent household, with both parents contributing equally to the upbringing of the children we bring into this world. After all, were not both people involved in the creation? My guide in life as a father was, and always will be my dad. The blueprint that he laid out gave me all the insight I needed to be a great father to my children. He came to every game, most of the time coaching the team, he listened to every crappy song I put on the radio and acted as if he liked it, he has always been an ear I could borrow in times when all I needed is a little advice. In other words, he was present at every turn of my life, every bad decision I made, he caught me when I fell flat, then told me what I could do better, not criticize me for failing. I would not be the man I am today without the tutelage of my dad, so to him on this day of the Father, thank you for being there and loving me unconditionally. I love you Dad. What is being a father though my eyes? I have seven, yes 7, sons, which is a huge privilege, and a monstrous responsibility as a father. These seven boys will be shaped into men under our watch. A metamorphosis will occur, they will go from sweaty little boys that run and play, to young gentlemen that will know all of the social graces a good man should practice daily. I will teach them to love, to throw a ball, to do algebra, to open the door for ladies, to give compliments, and most of all to be a dad. Every day, they get to see a family that does all of those things, and it should become second nature to each of these boys. Not a day goes by that I don’t tell my wife how beautiful she is and give her a kiss. Children see and emulate everything we do, no matter how good or bad it may be. Why not give them a role model, a hero to follow? Now I would never suggest that I am a hero, by any stretch of the imagination, and neither would my father, but none the less he is my hero. The point is, as a parent, we are our children’s hero’s, we are the ones they want to be like. We should all take that responsibility more seriously then anything we do, this is our future we are shaping. The point of this day in June is to become aware as fathers. Let us all place what we do under our own microscope and re-examine the men we are and the fathers we want to be. Be a great dad, be present in your children lives and most of all love unconditionally. This is the greatest job in the world and I love nothing more, on this warm June day every year, then being dog piled by the boys I brought into this world. To each of my sons, Brenden, Colin, Beau, Gray, Quinn, August, and Liev, I love each of you and would die to protect you. Happy Father’s Day to all you dads that give so much of yourselves to create a better tomorrow. 8 months in the books…Can I blink now? I woke up the other day and realized, one I had not posted to this blog in quite sometime, but also that my babies were now 8 months old. I am not so sure I can remember any section of my life go by so quickly. Why, as we get older, does life fly by in such a rapid fashion? Not only that, but why can we not recall ANYTHING! One would surmise with all the chaos that is contained in our lives, adding a couple of infant twins would be no big seismic event, but oh were we wrong. The ultimate problem with time, as compared to life, is time has a finite end and life continues to tack on activities with no end. Amazingly we accept all these extras and continue to thrive, survive, and persevere. It may not always be a graceful acceptance of new responsibilities, but it always seems to just “work out” and life bounds onward. Just when we think there is no earthly way to add another thing to our already overbooked calendar, we do and again life goes on. 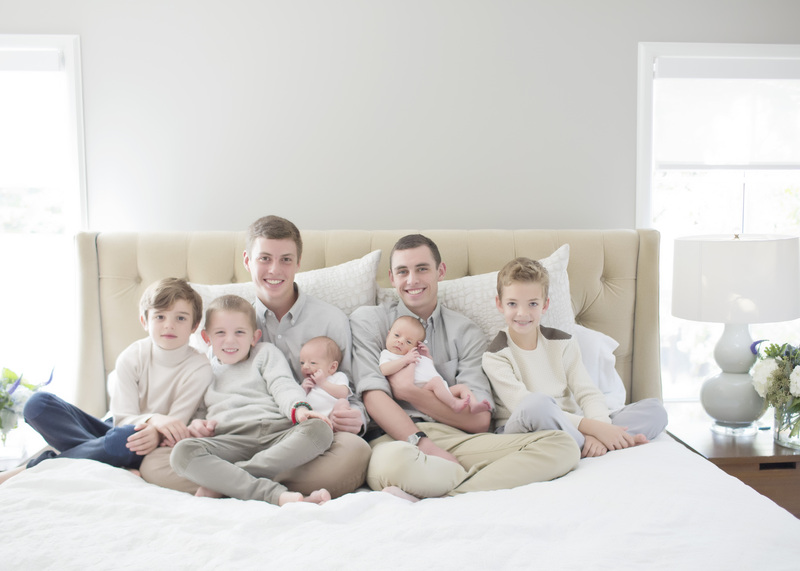 This past 8 months has seen the addition of another practice to our already growing business, the birth of our first set of twins, and reuniting all of the 7 boys under one roof! I will go out on a limb and say, that is pushing the limit of overload. The funny thing is I do not feel like my life is spinning out of control, quite opposite, I have an overwhelming sense of completeness. Weird concept to most people, considering we have 7 kids and 25 staff members we are responsible for, normal folks would likely run for the 7 seas! Now the good stuff, the Dreamboats! These boys have made our family so very spectacular. What began with two little 6 lb 11 oz miracle boys, has evolved to two happy, very squishy, and amazingly fun additions to our already large family. Every morning evolves around entering the nursery to find one of the boys, most of the time August, humming, until he sees you. Then the smile explodes and pure excitement, with legs kicking like a hummingbird, the scene is similar to a freshly caught flounder flung on the dock. Then you pick him up, squeeze, and give tons of kisses. There is no better start to your day then the pure love felt from your baby to their father. Days when you “wake up on the wrong side of the bed”, are usually turned around rather swiftly. These little guys are amazing, and having twins has been the highlight of parenting. I truly believe having a singlet would be boring, almost a mundane series of schedules, twins bring a lot of beautiful twists and turns. The rest of the day is filled with more of the same smiles, laughter and family fun times. It is an amazing life, I feel blessed beyond belief each and every day I have the privilege of taking a breath. Being a father to so many wonderful children and sharing every experience with my best friend, brings with it an overabundance of joy, pride, and love. For seventeen years I have watched the matriculation of boys to men and babies to young men, it has been a spectacular ride, so far. Most days I feel as if I have reversed the aging process, I feel young and energetic keeping up with this crew…well most of the time. Mustache outfits in honor of no shave November! 2014, I am sure glad to see you go……wait, it was pretty spectacular! So I started writing this post about 2 weeks ago and realized it was all wrong. The information was all correct, but my perspective was skewed. After spending many years reading Malcolm Gladwell books, I have come to the hard truth that perspective is everything. I was taking a retrospective look at 2014 and painting a dismal picture of how rough and horrible this past year was to me. As I took a much closer inspection it was quite the opposite, it was pretty spectacular. 2014 has been filled with risk, reward, love, happiness, success, stress, and most of all family! This past year has brought me a greater appreciation for the finer things that make us men who we are for our families. We are the disciplinarians, the fixers, the coaches, the pinewood derby car makers, basically we make sure all the loose pieces don’t get lost, because we have no clue how to put those pieces back together. The superwoman makes the world correct again by organizing the pieces to the right spots. I awoke in 2015 knowing that, not only would this be a great year, but that it is only going to be great because of what went down in 2014. For all the stress and worry that went in to the last half of 2014, just like everything else in life, it was not all that bad. We grew both professionally and personally, literally! What could possibly be wrong with growth? This morning I woke up, the alarm went off at 5:15, and I looked to my right….my amazing, beautiful, strong wife was there, fast asleep. She is quite stunning while she sleeps, and all I could do is smile, because life is really good. 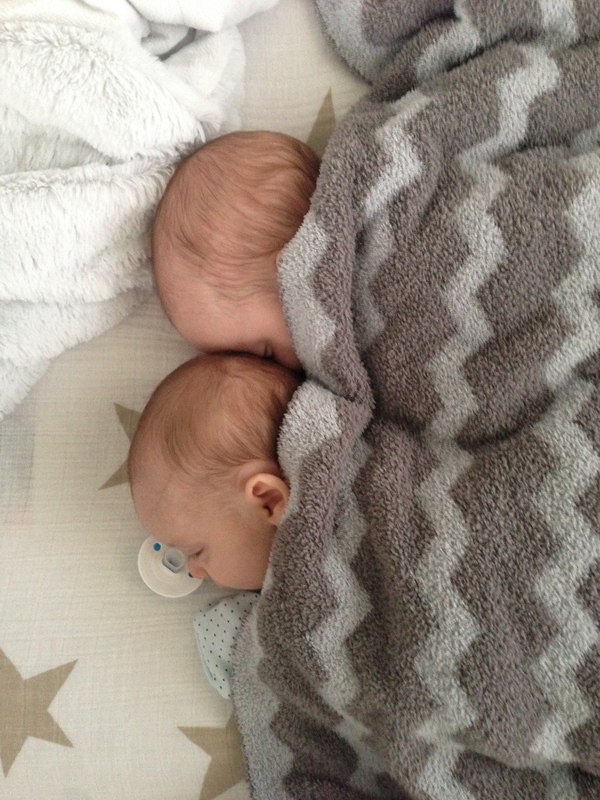 I then glanced to my left…….. and I see the Dreamboats snuggled, fast asleep. At that moment I know, this life is so incredibly perfect. We went through the last few months of 2014 thinking, how difficult and testing this life is right now. Now I know it was just that, a test, an examination of our intestinal fortitude, and once again I concluded that we can take more than our minds believe we can and, best of all, we can do it with style and grace. So far in 2015 we have survived the influenza outbreak, the continued saga of a remodel, the holiday hangover, and the Dreamboats. We have had 3 with the flu, and I have never seen one woman become such a germ destroyer, but have managed to keep the babies well, so far. My oldest, who as you remember moved in, in September and started a new school, is doing amazing. He is putting in the hard work and it is paying off! The rest of these crazy boys are geared up for another fun year! As with any new year people go through making resolutions, starting new diets, and joining various gyms in an attempt to slim down. I have always thought this was a foolish endeavor that rarely resulted in a life changing metamorphosis. Why can’t we just pick up where we left off and keep rolling? Have our goals and lifelong aspirations really changed from year to year? Mine has not and I see no reason to change what it is I am trying to accomplish in life. I want to be a great husband, lover, father, cook, small business owner, boss, friend, clinician, and role model. Nothing of that list will change whether it is January or October, 1999 or 2015, I still want the same lifetime achievements. My goal is to live everyday like there is nothing tomorrow. Carpe diem, seize the day, and fill every day with good food, friends, and most of all family. Life is such a paradox, normal or not so normal, right or wrong, good or bad…..is it not sometimes in the eye of the beholder? Seems to me we, as a society, spend way too much time judging others and inserting our version of “normal” into places we should leave alone. Who are we to say what is normal? Is normal not an ever evolving snapshot of different time periods of our lives? I know I can safely say that what I think is normal now, would not have been the norm for me 15 years ago. As we grow older we get more and more cemented in this idea of a generalized normal behavior, or family, or look, and you know what happens, we subconsciously pass judgement on that person or situation. Should we not be a little more forgiving for people’s different normals? Why can we not envelop ourselves with just that, our own norm and families. Who really cares what happens in the Jones house or how Sally dresses, those are all norms to them. If we spent a touch more time looking within and stop worrying about what is happening all around us, this world would look incredibly different. This is a glimpse at my new normal, because I have looked within to see that I like what I see and know that this will be an amazing ride, at least for me! One year ago my normal daily routine was a little, well a lot, different from what it looks like today. It looked even more different 5 years ago. I have always been the one to wake up when the baby, or now babies, start to stir for a little sip of the liquid gold, aka breast milk. For those who may have no kids or its been a while, the reaction for mom if you leave a little in the bottle or spill a splash of the milk, will give you the understanding on the term, “liquid gold.” So I wake up first and start the diaper changing. Now being a veteran dad, I know the importance of regimented schedules and you should as well. I am, however, a rookie multiples dad and its a little different. If one gets up, the other is getting woke up for side by side feedings. So diapers changed, bottles warming, and momma pumping the gold. I feed the dreamboats and she helps burp and its back to bed. All this is happening around 5 am, yes that means these boys are sleeping from 8 pm to 5 am, pretty darn consistently. We are now convinced that there is something built into the psyche of the later babies in a big family, “I better be good, or I get no love,’ which of course is preposterous, but I will take it! All in all, we are getting about 6 to 7 hours of continuous sleep! Amazing, these little boys are spectacular!! The rest of the day is a blur…. The bigs and middles, our little nicknames for the other boys, are adjusting as well to the new look of this family. They tend to roll with the punches, but I think they are loving having these boys around as well. There is a lot of love to go around and as this family has grown, so has the affection for life. In the not so distant past I thought I would be a father to 2 boys and now when I look out on this landscape of my life I am ecstatic for the blessing of 7 sons. I get to coach teams now until I am like 60, ok maybe not that long, but I won’t be a spring chicken when theses guys are teenagers. I will be a mature and oh so wise father of 5 boys before who have made the mistakes and bad decisions that these boys will learn from. So the new norm is, well pretty normal for this family and I would have my normal look no other way. Carpe diem and enjoy whatever your normal consists of, and never compare what you have to what someone else’s normal looks like, you just never know who that someone may be. What a helper this guy has become. Wow, we blinked and there went 2 months and a bunch of big family events. I feel like I haven’t written in quite sometime and I must admit I missed it, when I had time to think about it! What an absolute blur life has become as of late, even with the social calendar all but canceled. The office remodel is nearly complete, the dreamboats turned 2 months, we celebrated a decade together, oh and there was Thanksgiving to top it all off, whew. 10 years…one full decade is quite an accomplishment and it is hard to fathom that we envisioned all that would occur in that time. Lets see, we graduated dental school, completed a residency and fellowship, had a son, bought a practice, had a son, had another son, bought another practice, merged the two, remodeled the office, and had two more sons (at once!). For most people, that would be a full LIFETIME and we are just getting started! I must reveal that with all the moving parts that engulf our life, there is no one I would rather take this roller coaster with then my super woman. Thank you beautiful for an amazing 10 years and a fun-filled beginning of decades together, this will be very interesting in the coming years. 2 months….The dreamboats are now 8 weeks old, which is unbelievable. It seems as if they have always been with us. It is a weird metaphysical feeling that this family always had them with us even when they were but a thought. I love them more than anything, and knowing that this is it has made me relish every little thing. They get rocked a little longer, talked too a little more often, and definitely kissed on more than any babies on earth. They truly are amazing and going out with twins has been a blessing for sure. I think we really thought life would be impossible before they were born, but it all just falls into place. I tell people all the time that life with 7 kids is not as hard as one would imagine, the more kids you have the easier it gets. Yes, that sounds as if I have skipped a few doses of my medication and need to be committed, but I stand by that statement. The machine runs smoother as each family member learns their role in the family and starts accepting those responsibilities. They come to realize, if they don’t do it no one is coming behind them to pick up the pieces. It all just works! Tonight we went to a celebration of a dear friends birthday. She is turning over another decade and she came to me to ask why I had not written for a while. She was half-joking because she knows what our life looks like right now, but I smiled inside. I started this blog to give a fresh perspective of life through a dads eyes, but also as a “therapy” session for myself. Tonight I realized that people actually read it and appreciate the words, and that means a lot to me. So to the birthday girl, cheers and thanks for your friendship and the small words that you had no idea meant so much. I hope you had a blast at you party! There will not be a long hiatus to the next chapter in this saga. It is funny how life changing, gargantuan events cause us to put our lives under examination. This view within ourselves can be the beginning of a, sort of rebirth, or at least a back to basics restart. I think for quite sometime I have been in this modus operandi of go, go, go, without regard to what is happening all around. See, when you over commit, you miss the things that are truly important, like your family and those memories are fleeting, so when they are gone, they do not float back around. What could be more important then those moments around the dinner table when each kid gets the stage to let us know what happened in their world today, or the project that the nanny had to complete, or the field trip you missed due to some golf match, or, I should probably stop there before the list gets depressing. The point is, when you miss something, it is a moment in your families timeline of life that is lost forever. You will never see the look on his or hers face when they get the final spelling word correct or the time they scored the winning basket at the buzzer, they are all lost in the black hole of overcommitment and “I am just too busy.” What could possibly more important then those amazing events of life? Why did you have kids if you couldn’t place enough importance on sacrificing some personal event to be present? In the grand scheme of things, we will never be measured, as men, by the size of our wallets, or the number of houses we own, or the 67 we shot on the course, no, we will be remembered by our legacy. We will be remembered by what we accomplished as fathers and the life shaping lessons we taught our kids. When these twins came cruising into our world, we were the over committed, the too busy, the weekly dinner party goers. Our social calendar was inconceivably chocked full of “must dos”. This was all too fun and exciting, that is till you slow down and realize what it is you are sacrificing. How cool are the nights you spend on the couch, as a family unit, watching some silly Disney movie with popcorn? The kids falling asleep on your lap and carrying each of them to bed and tucking them in for a long nights rest. What if you got to feel that bliss once a week? How amazing would life as a father feel? Over the past 3 months we have had these opportunities and relished in the ability to say no to outside events and spend some quality family moments together. I will not soon forget the feeling of my 16 year old telling me how much it meant for me to take the time to be at an event, it will make you tear up, I promise. If we can sacrifice, with a large practice to run and 7 kids (5 under the age of 8), what could anyones excuse possibly be, other than selfishness? Please do not misconstrue this to mean we should not take moments for ourselves, just not all the free time. I am realizing pretty quickly, that having these twins in this ginormous family, will shrink our social event calendar, and I am really feeling excellent about that proposition. It will allow me more time to spend enjoying the one thing that truly completes me, my family. There will still be fund raising events and date nights our, but those opportunities will be fewer, and actually more treasured. The sad truth, is that in todays society it takes a life altering event to cause this rebirth of life. We are in such a rat race to succeed that we forget what success even looks like. Success is not contained in a car emblem or a vacation to some exotic hut with a personal chef. It is measured by the love we feel surrounding our lives and that bright shimmering star in our children’s eyes when we come home after a long day. Take a look at you kids face when you show up, unannounced, at their first grade play and tell me that wasn’t a great day. If we center our lives around those successes, all the other extraneous stuff, we call success, will fall into place. So today marks the one month birthday of my little buddies, and I must inform you of their new nickname, dreamboats. I see all the time, someone posting on Facebook how this baby or that had stolen their heart, and it really stated to make me nauseous. That is until these little dudes came along and sweetened this family ten fold. Here are a few of the reasons why: they have slept an average of 5.5 hours continuous per night, we have caught them on numerous occasions holding hands while eating, when one is fussy coming close to his brother usually calms the other down, you can surely get the picture. When my superwoman told me she wanted “one” more kid, I must say I was not overly enthusiastic when I said sure. Come on, who says no to that kind of request, and this has been one spectacular way to round out this table for 9! The other cool part of these boys is the reaction of all of their siblings. In all my years of working with kids and being a father I have yet to witness the outpouring of love that these band of brothers have displayed. From the 8-year-old that gets up with the roosters, hence his affectionate nickname, just to hold a baby before dad heads off to the office, or the much maligned 16-year-old who every night comes into the bedroom to say goodnight and hold a baby. All of the other boys have to kiss the babies before going to bed or we have a meltdown that makes Chernobyl seem small. It is quite a sight to watch the affection and attention that August and Liev receive daily. It sure makes you proud down deep, to know that someday all these boys will make amazing fathers because of these experiences. They will look back and see what it is to be there for moments in a families existence and know how important it is to put your family first. One lesson I have learned in working with and having a few kids, is that they are always watching and listening. Little things we do for each other make big impacts and small kind words make a world of difference in a child’s life, especially from their dad. Today I traveled up that 10,000 foot climb to take a look below and what I found was pure bliss. I see a family growing into these new additions and making the adjustment quite effortless. The view revealed a group of rowdy boy siblings sharing an abundance of love and support for the upheaval that entered this family one month ago. Today, one month in, I am encouraged and exuberant about this future we created, and have a feeling there are a lot of marvelous times ahead. The dreamboat keeps gaining speed and the world seemed a little bit smaller today then yesterday, carpe diem, because today was pretty unbelievable.